Efi, bringing you the news that matters! 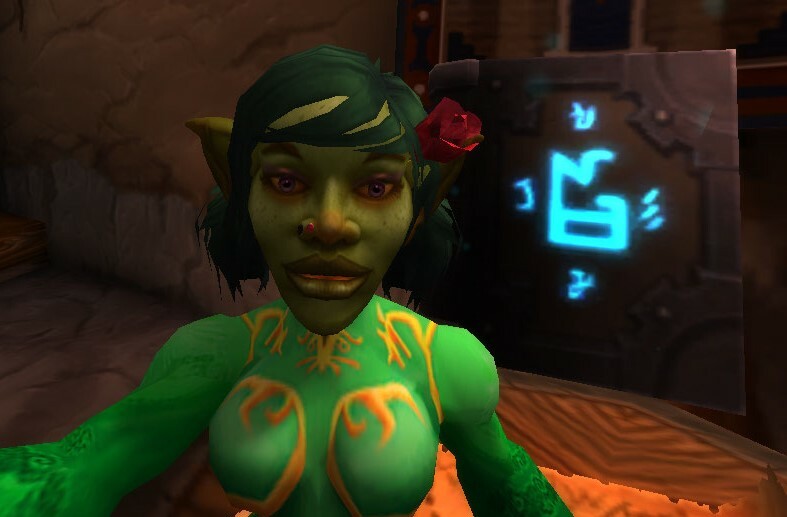 Hello, I’m Efi your favorite Goblin Shammy who once stood in the fire and lived to tell about it! 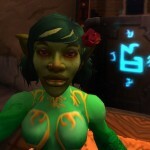 I’d like to welcome you Reciprocipeeps to the Reciprocity Report! This weeks report for the week of July 31st to August 6th 2016 is brought to you by Turbocharger’s Salt Mines. Come mine all the salt you can handle from an unlimited supply. Each customer receives a mug to collect their salt in. Limit 1 per customer. Sunday July 31st 2016 Sunday Fun Raid – Normal HFC, after destroying Mannoroth and getting 9 members loot, we took our first few stabs at Archimonde this brings us one step closer to Reciprocimoose! Wednesday August 3rd 2016 Heroic HFC – Due to issues with WoW servers during raid time, we were unable to make any progress. I think tonight’s raid is going swimmingly! 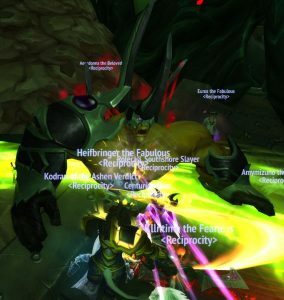 Friday August 5th 2016 Heroic HFC – We started with Fel Lord Zakuun with 7 members receiving loot, and ended with Xhul’horac with 7 members receiving loot. Congratulations to all who received upgraded gear! Getting angry on them old school raids! 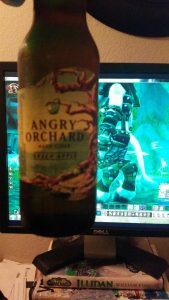 Saturday August 6th 2016 BYOB Old School – We hit up Firelands for an achieve and a mount and hit up Deathwing in Dragon Soul. 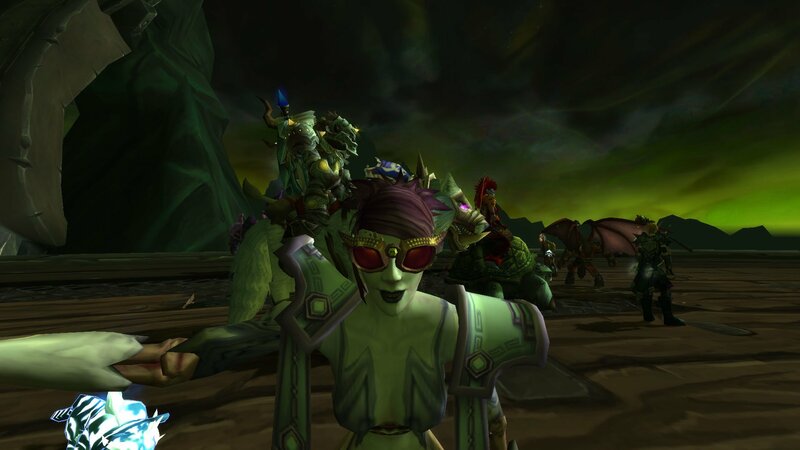 Several members went on to do some more old school for achieves and transmog. A good time was had by all! Upcoming guild events: The Reciprociparty committee has scheduled our end of Draenor Beach Party event to take place on Saturday August 27th. We’ll have fun games as well as time spent together before the beginning of the new xpac. Don’t forget your sunscreen! Achievements of note this week: One of our members reached level 100 this week. Remember in Reciprocity, never be afraid to ask for help with anything you might need. There’s always someone who is willing to help you with que times, gems, enchants, or upgraded gear if possible. We’re always happy to help! This weeks calendar of events: The WotLK Timewalking event ended Tuesday August 2nd and the Cataclysm event started on the same day. Remember, if you missed out on the dungeons Tuesday and still need to complete this quest for a chance at upgraded gear for your main or an alt, please let us know and we will do our best to set you up with a group or at least a healer or tank so your que times won’t be so bad. Sunday August 7th the Darkmoon Faire will be back so don’t forget to head over there and see what achievements, pets, gear, or toys you can grab before we’re busy with Legion. Current Events: We are gearing up for a lot of stuff that will be starting August 9th for the beginning of the Legion Xpac. We’er looking forward to the release of Demon Hunters for all who pre-purchased the game, Demon Legion Invasions with possible pets and achievements, and much more. Take up the Reciprocity banner and charge with us face first into the Legion so we can show them the full might and fury of Reciprocity and the HORDE! Lok’Tar Ogar! 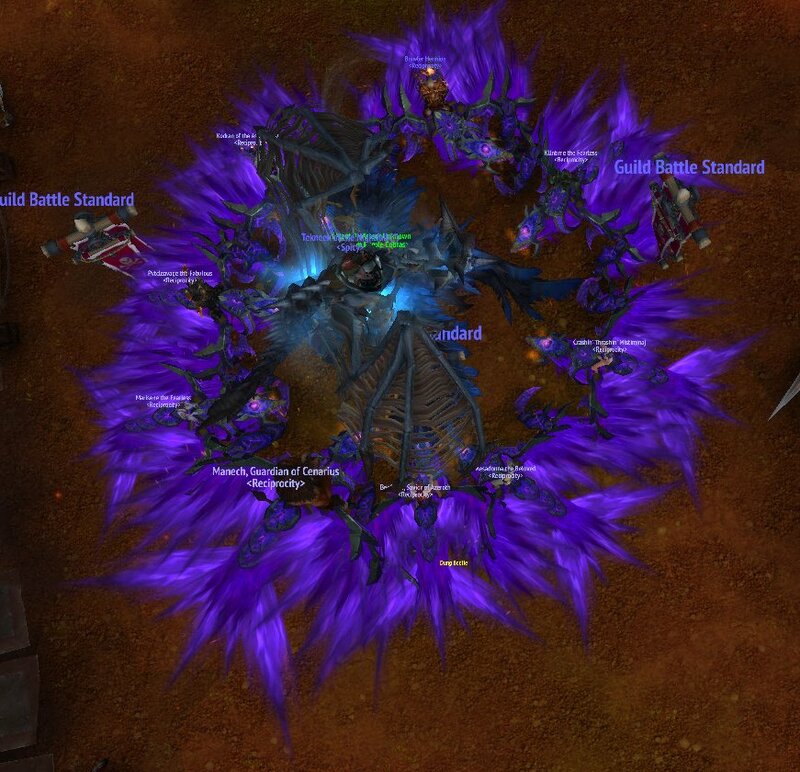 It looks like we have gotten invites to all of our new Reciprocipeeps and they are settling in quite nicely. We’re so glad to have you all! This is our guild family, with whom we will be facing the many foes the Legion (and Blizzard) is planning to throw at us. Get to know your guild family by interacting with us on twitter through the members list, in our guild chat in twitter, or through mumble!